Every household wants to have a lovely and pretty house. The elements of the house should become one’s eye-candy. The welcoming living room, the bright kitchen, the cosy bedroom and a clean powder room is what everyone wants. To get all this you need to invest in furniture and decor for your house and make it look like a dream house, the one everybody stares. Planning to do it correctly? Just get the refurbish furniture and your work is done without harming your pocket. As not all of us are born with that golden spoon so getting the refurbished furniture is a smart move. So if you go for the refurbished option you can probably buy 2-3 furniture items rather than buying just 1 brand new from an online or an offline store. Now the main focus is, where to find the perfect store that serves the amazing furniture and decor.You don’t need to dig in, all you need is just an empty area to get the items. Our team got few refurbished marketplace where you can get used furniture at attractive prices. On a particular street of Lajpat Nagar, the market-based in the basement and roadside. 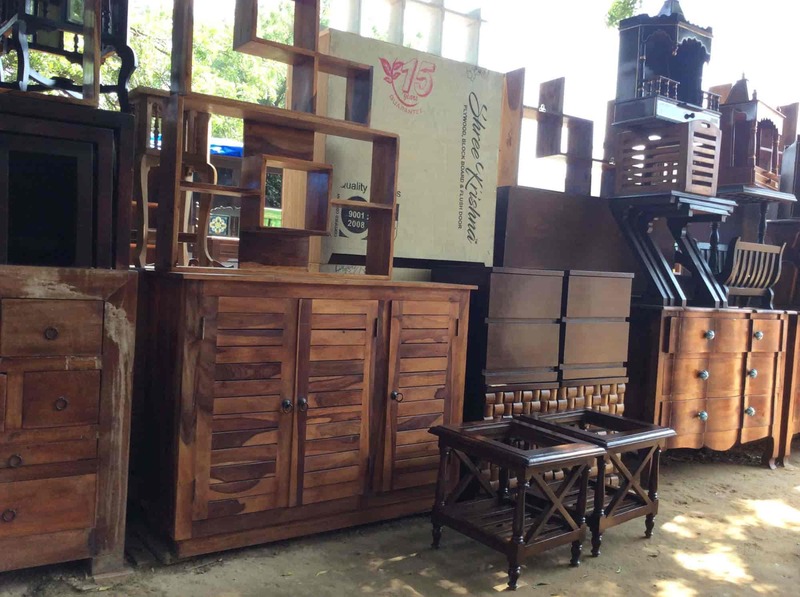 You will find here a wide range of retail second-hand, vintage, colonial and modern furniture. It’s a heaven for the interior designers. This store has all the furniture items that you may require, starting from the bedside table till hug wardrobes and sofa sets, they have it all and at affordable pricing. The store will surely make you happy. They deal with buying and selling of used or second-hand furniture, they range from bedroom furniture, living room furniture, used embassy furniture and even outdoor furniture. You are happy for sure. They have the best price for the buyers to get the second-hand furniture making their pockets happy. 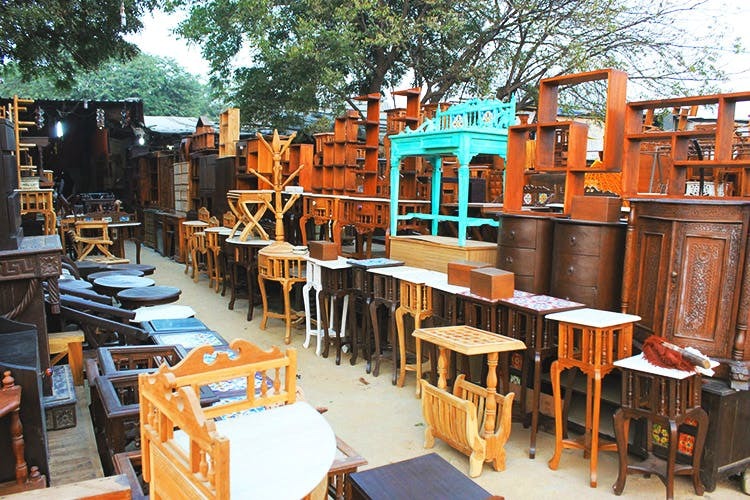 This market is a little towards Gurgaon having all sorts of furniture at an amazing pricing that you’ll love to buy. The best part is the variety will make you go crazy. This market is an ancient market that has been dealing with furniture trading since many years, you will find it easily as its very famous, I have mentioned it in the last as it’s the most famous one and easier to find. From Ashram Marg metro to Rajiv Chowk you will find a crowded market, To be specific The Gole Market, The Heaven for the shoppers. They have it all! You name it they have it. From home décor elements for every nook and corner of your house and furniture for your entire house. At attractive prices. Delhi, Now Renting Furniture is more easy, starting Rs 299 Only!